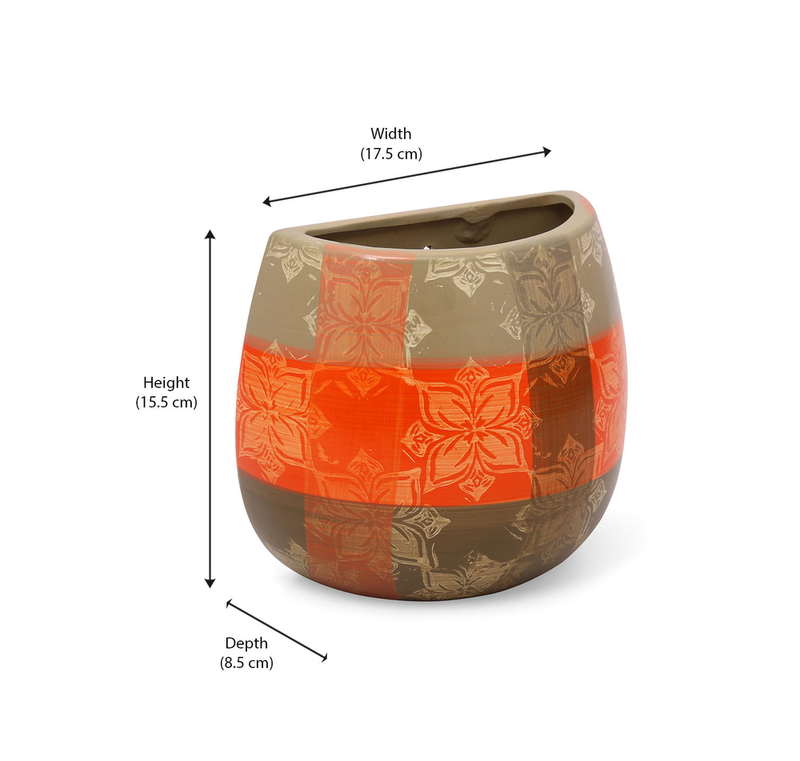 This orange color flora check wall planter has transformed the beauty of many homes and now it is your place to leverage from its eye-catching appearance. By buying and keeping the planter at your home, you get to grow colourful flowers in it which heightens the grace of your abode. A first glance spared by your guests to this planter is likely to fetch you heart warming remarks. The planter is the perfect way out for those who don’t have enough space to keep a garden in their premises, but want to feel the presence of nature around them. To make this exquisite planter a part of your life and home, grab it now from @Home.